This approximately 2" scorpion, Parurocotnus utahensis was found North West of Cameron Arizona. The area is also inhabited by Hadrurus spadix. This site copyright Rich Ayrey 2008-2017. 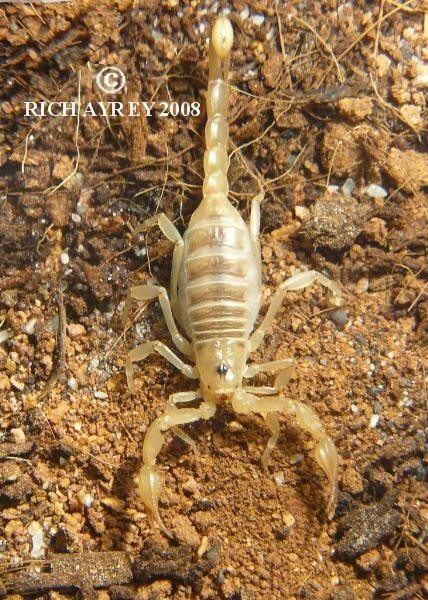 This Arizona Scorpion page created 02/17/09.